A double bedroom in the new Kansas City youth residential center for girls. Each bed has a quilted toiletry bag, made by a volunteer. Children entering the Kansas foster care system will soon have a new short-term place to stay in Kansas City. 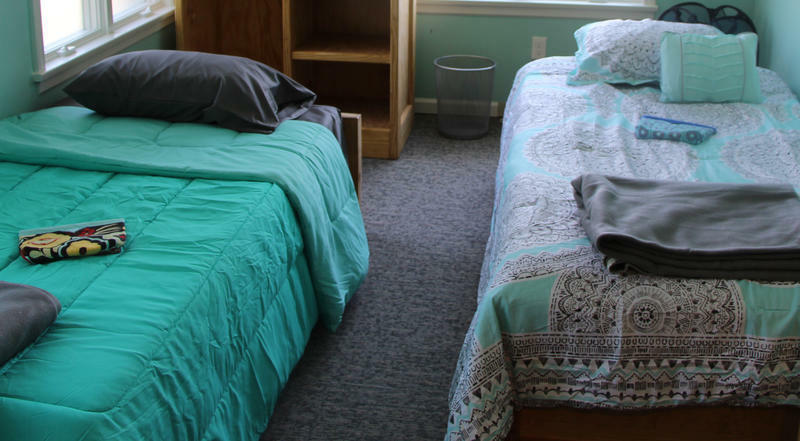 With kids sleeping in their offices several nights a month, KVC Kansas, one of the state’s two foster care contractors, has been looking to open some sort of crisis center for the past year. KVC Kansas kept 28 kids in its offices overnight in March, the most recent month for which data was available. 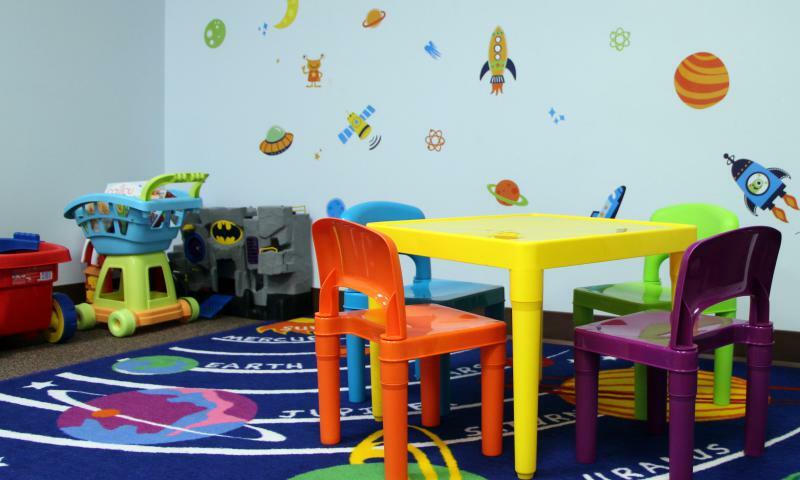 The contractor says no children have had to sleep in its offices since May 18. KVC had initially planned to open a basic shelter in January, but then realized that wouldn’t be enough. The kids most likely to be without a family member or a foster home to go to were kids with more serious behavioral or mental health problems. The hospital arm of KVC’s parent company is setting up and licensing a facility equipped to handle kids who might be violent or prone to run away. The new youth residential center will provide mental health services and 24-hour supervision. The facility is scheduled to open later this month. They’ve already got a space for boys, so the new space will be a comfortable spot for up to 20 girls. In preparation, Vanessa Brouillette, KVC Hospitals’ operations coordinator, has been choosing paint colors, spreading bright comforters over twin beds, and screwing the legs onto cozy couches and chairs. Carla Drescher, CEO of the Blue Door Project that will be operating the new youth center for KVC Hospitals, said she’s seeing more kids with intense needs than when she started working in child welfare more than 25 years ago. “When I think back to when I first started in the field, it’s night and day, as far as the acuity level,” she said. That’s been reflected in long waiting lists for psychiatric residential treatment facilities, which provide more intensive psychiatric treatment. Kids on the waitlist have typically ended up in centers like the one to be opened in Kansas City, Kansas. When there isn’t enough room there, some have spent a night or two in an office. Stays in the new youth residential center will also likely be longer than in a shelter like KVC had initially envisioned, where less than a week would be the norm. 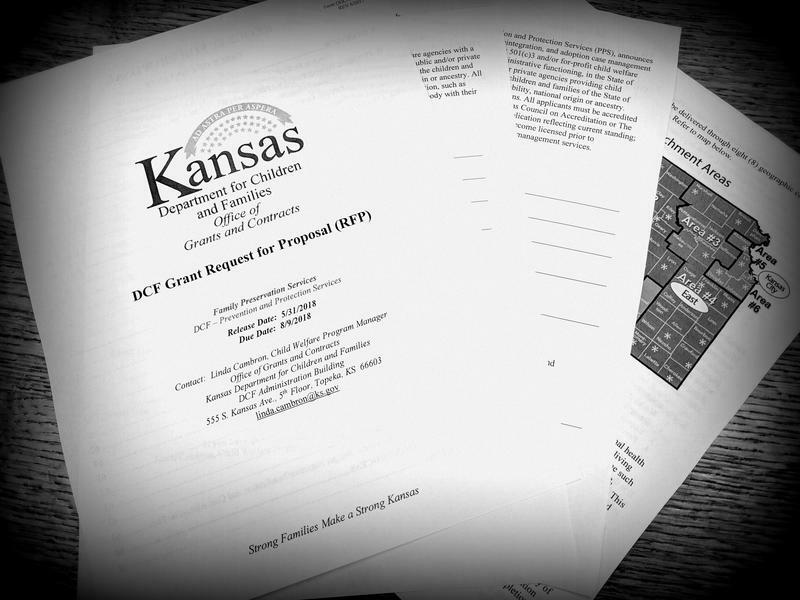 KVC is also shifting its plans for a shelter in Wichita to reflect higher acuity needs. Instead, KVC Hospitals will be opening a pediatric psychiatric hospital with more than 50 beds in that city in early 2019. There are more than 7,500 kids in the Kansas foster care system, a number that has increased more than 40 percent since 2005. KVC spokeswoman Jenny Kutz said the tremendous jump has pushed the organization to consider more group housing options, something KVC has historically shied away from. In the mid-1990s, 30 percent of children in the state’s foster care system were in group settings, including basic shelters, youth residential centers, and psychiatric treatment facilities. That fell to a low of 4.4 percent in 2013, but that share has started to tick up again. About 7.8 percent of the foster care population, 596 kids, were in group settings in May. 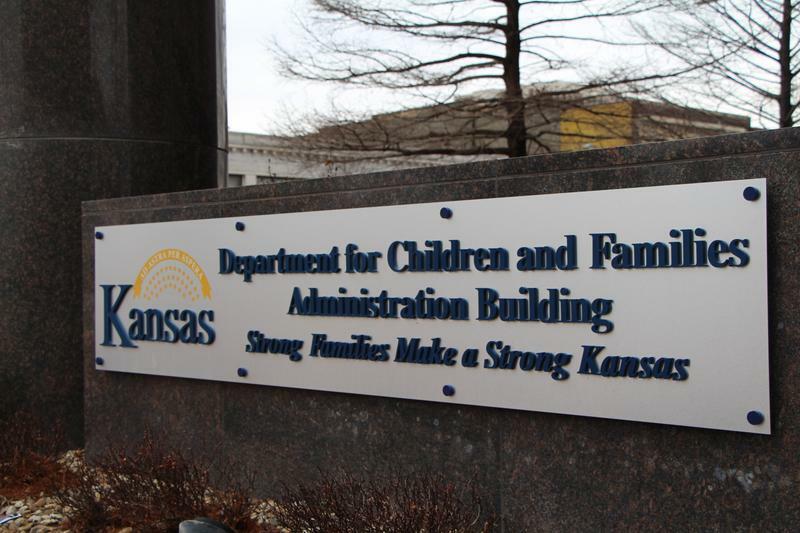 The Department for Children and Families is putting more emphasis on keeping families together with its new child welfare grants, which the agency opened for bids last week. In contrast to the current contracts where the same agencies handle both foster care and family preservation, under the grant structure each region will have an agency dedicated solely to that effort. Madeline Fox is a reporter for the Kansas News Service, a collaboration of KCUR, Kansas Public Radio, KMUW and High Plains Public Radio covering health, education and politics. You can reach her on Twitter @maddycfox. 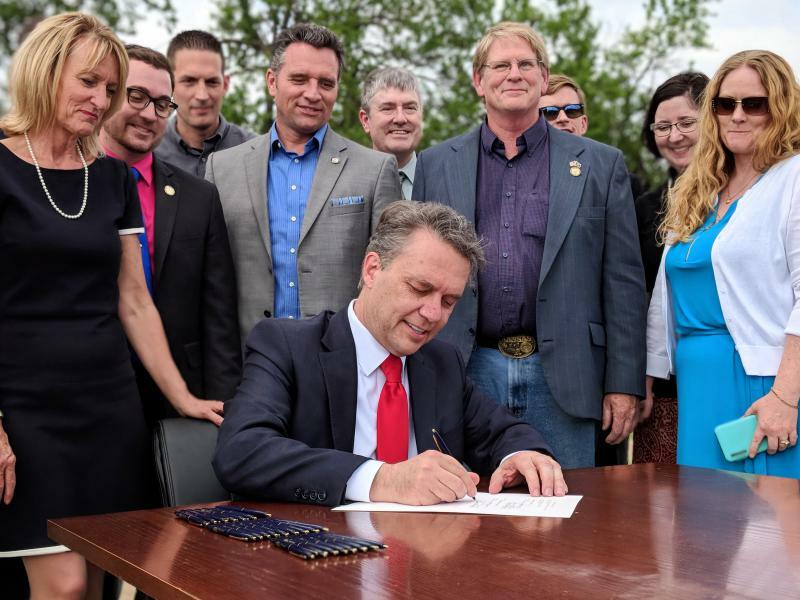 Kansas News Service stories and photos may be republished at no cost with proper attribution and a link back to the original post.